Black, blush, and berry colored Lao silk wrap with a traditional motif that feels very contemporary. This piece was handwoven in Laos by a woman who is now too old to continue weaving, making this item very rare. 100% handwoven silk. Natural Lao silk is crisp with slightly nubby texture. Use as a wrap or a wall hanging. Dyed naturally with plant-based dye. Gentle cold hand wash with soft soap, line dry. Warm iron. This is a special piece -- we only have one! 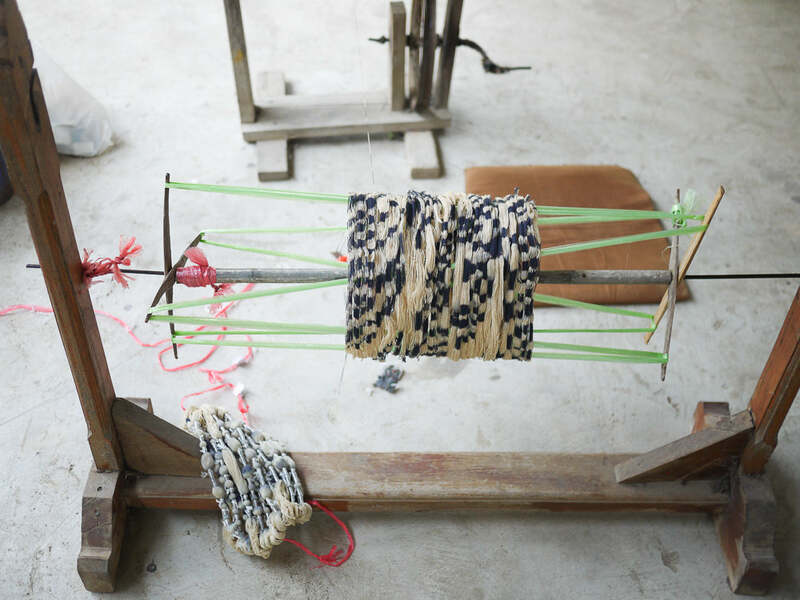 Weaving a true ikat textile takes considerable time and skill. 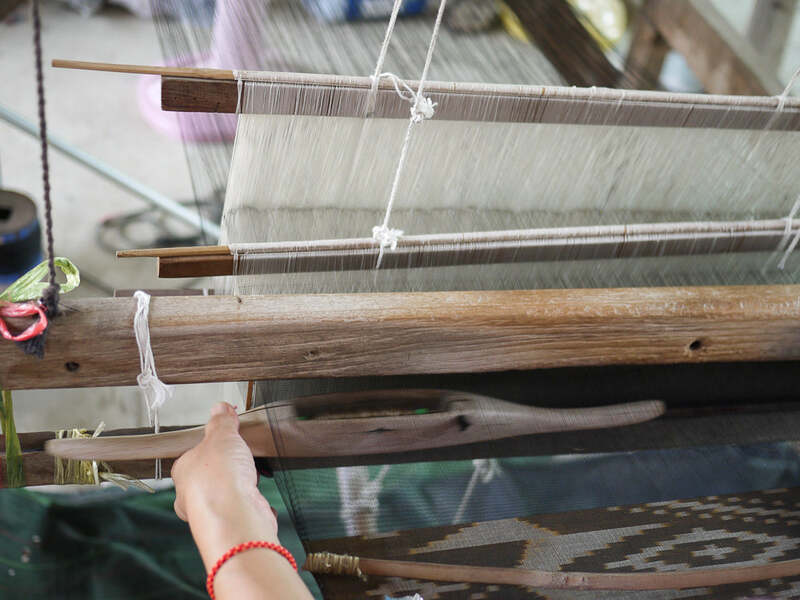 The talented women at Studio Naenna's Weavers for the Environment use a traditional process: First, they design the ikat pattern before winding and tying-off sections of the cotton yarns for resist dyeing. 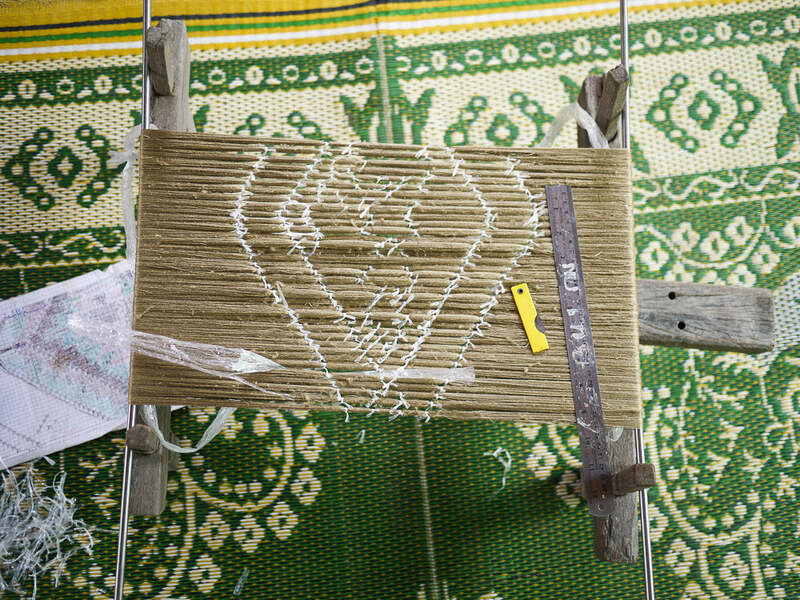 After naturally-dyeing and line drying these yarns on a bamboo pole, they are untied – revealing the negative spaces that later create the pattern. The women artisans then rewind the yarns onto spools to be placed in the shuttle, which is swept left and right during weaving on a traditional floor loom. The Kindcraft worked in partnership with Studio Naenna in Chiang Mai, Thailand to create two small womenswear collections. Designed to honor Studio Naenna's handwoven textiles, the shapes in our Ikat Collection are minimal with contemporary styling. They are slow-made in an ethical working environment.